These are the instructions to flash Sony Xperia XA2 H3113 Stock Rom (FTF firmware) using the Xperia Flash Tool on Windows Computer. Requirements: Your Xperia device should have at least 30-40 per cent of phone battery to perform the flashing process. 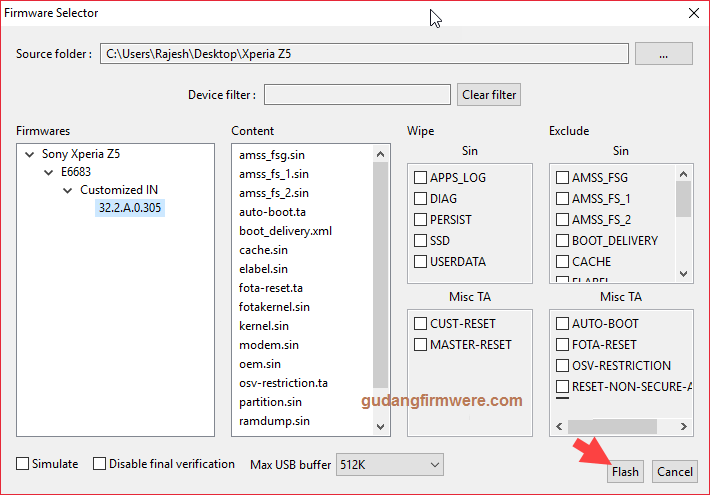 Download and install Sony Xperia Driver Sony Xperia XA2 H3113 on your computer. If in case Sony Xperia driver is already installed on your computer then SKIP this step. 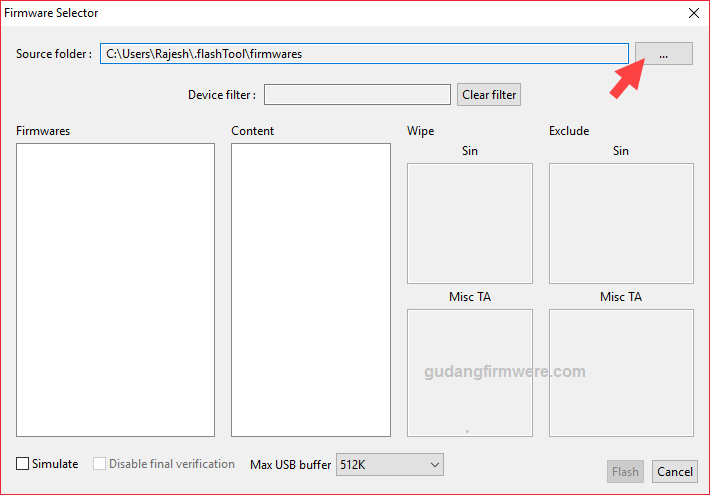 Download and install Sony Xperia Flashtool on your computer (if you have already had the FlashTool, then there is no need to download it again). 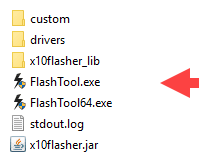 Once Sony Xperia Flashtool is installed, Open it from C: Drive > Flashtool. Now, click on the Flash Button. Now, you will be able to see the Bootmode Chooser menu. Select Flashboot option and click on OK button. 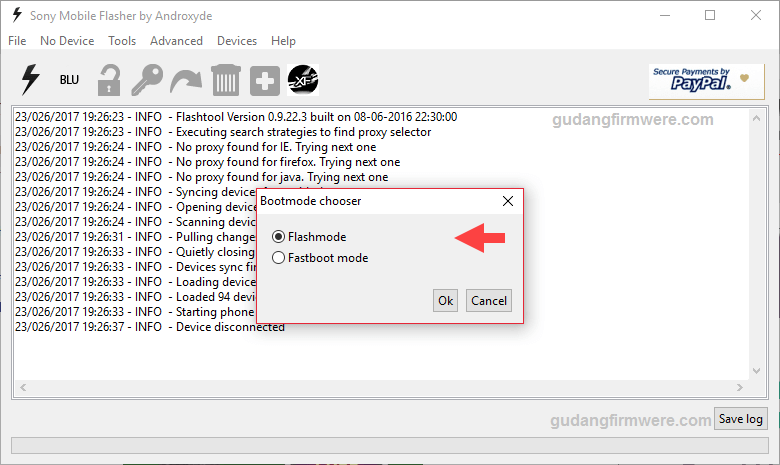 Now, load the downloaded Xperia firmware (.ftf) in the flash tool. By clicking on the Load Button. Now, Select the loaded Firmware. Now, Click on the Flash button to begin the flashing process. Now, Power off your Xperia XA2 H3113 Device. Now, Press and Hold Volume Down button and connect the device to the computer using the USB cable. Once the device is successfully connected to the computer then you will be able to see the added message in Xperia Flashtool. Now, flashing will begin and will take 5-10 minutes to complete. Once the flashing process is completed, disconnect your device from the computer and Turn it On. 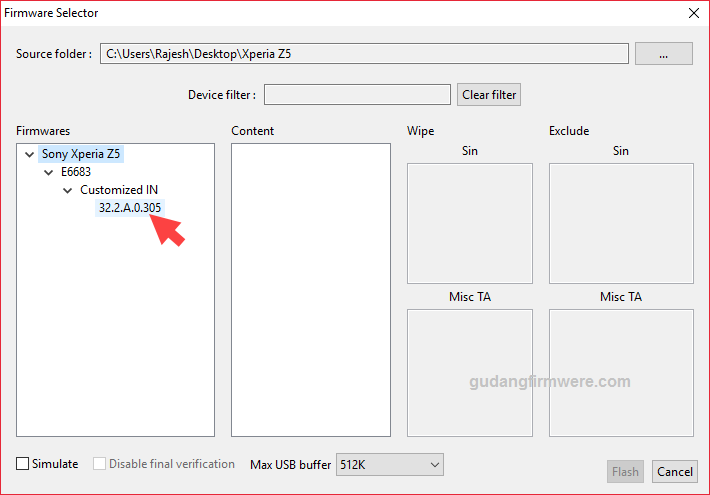 Important Notes:Xperia USB Driver: If you wish to download the original USB Driver for your Sony Xperia device, then head over to Xperia USB Driver page. Flashing the Stock Firmware will delete your personal data from the device. If in case you are going to Flash the above firmware then take a backup of your personal data, so that you can recover your personal data if anything wrong happens.